Yesterday I finished polishing up the Crimson Son anthology for my editor to again polish and make all shiny. I know, I already told you that – even gave you a sneak peek. I’m excited to get those stories out to you guys and I had a lot of fun writing them. Release is set for early June so keep an eye out here for cover reveals and more. Yes, I’ve yet to decide on a name. Part of it is indecision, the other part – I’m working on my overall marketing strategy with Amazon. This novella / anthology is something of a test of those procedures which I’m ironing out for my next big release. Don’t worry, that doesn’t mean it’s a haphazardly arranged book of filler. No, these are some of the best stories I’ve written to date. Yes, it’s a short piece and gives only a little taste of the history in the Crimson Son universe, but there is plenty of depth to each tale. And I don’t mean to be a tease, well, I do, but I’ve been toying with an idea: a Crimson Son sequel. I never intended one. Crimson Son was meant to be a stand alone. Hell, it started as a short story. All I wanted was for Spencer to escape that Fortress of Solitude. He did. It was messy, and I read a review that said he always seemed like a kid in over his head. Yeah, that’s pretty much it in a nutshell. He’s not your typical hero. None of those guys are. But he was also only a kid who, by the end of the book, had just started to find himself. There’s more to his story percolating under the surface. In fact, it straight up kicked me in the nuts one day and I had to fight to keep focused on my current projects. Not only that but some of these Augments that showed up for the anthology, I’m itching to write more about. I’m hesitant to put a date on this. If it happens, probably sometime before The Winds of Winter hits the shelves. No, definitely before then. We’ll see how the short stories go over first. And don’t forget the Immerse or Die bundle due out in the next few weeks! Between that and the anthology, I’m looking for a proof of concept for both my marketing attempts and for the future of Crimson Son. I’ve already committed to a fantasy series that I’ve got a ton of faith in. Another quirky book about a young man…um…bugman…trying to find his way. First Song, Book One will be out at the end of the year and with any luck, Book Two will be released at the same time. I also finally have solid news on my zombie story, An Apocalypse of Zombies. 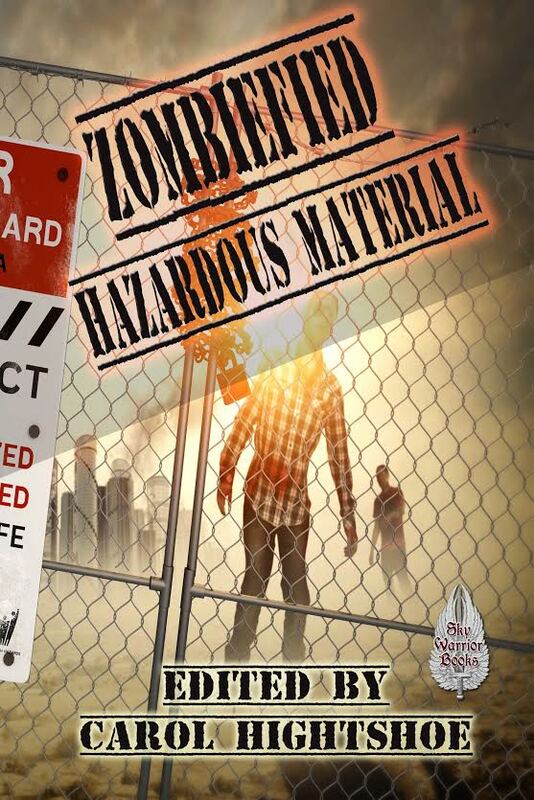 Zombified III will be released June 1st! There are some fun stories in this one, none of which take this whole Zombie thing too seriously – which is good. I gave up on taking those shambling organ donors seriously a long while ago. In my tale, Robert the zombie finds himself crippled by a starving chihuahua. In his zeal to still compete for human brains, he ends up inadvertently ending the Zombie apocalypse. It’s a sad tale. A tragedy. A real tear jerker in the laugh-until-you-puke sort of way. Okay, book and story updates, done. I should also have another article up at GeekDad this week, so keep an eye out over there as well.